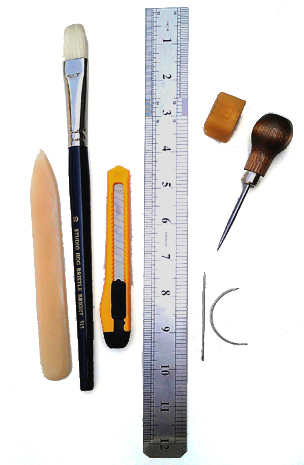 Tools for bookbinding, book arts and specialist applications. Specialist tools and essential tool kits with everything to get you started making your own beautiful hand bound books. 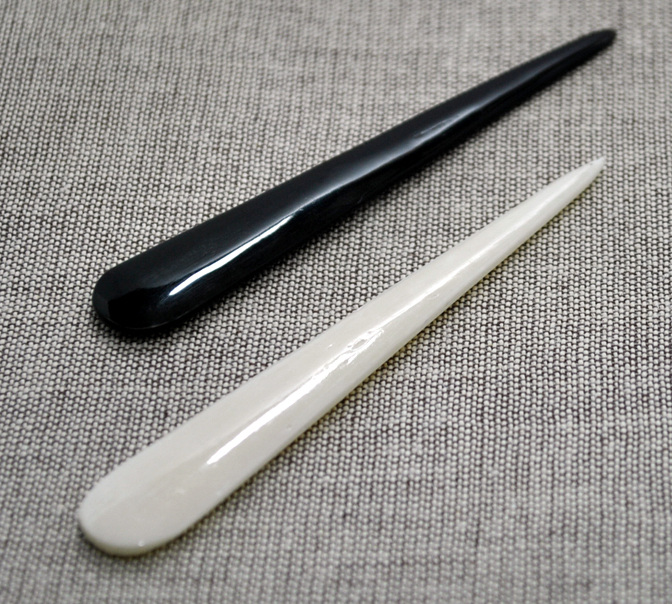 6 inch/15cms genuine bone folder treated against stains, marks and adhesives. 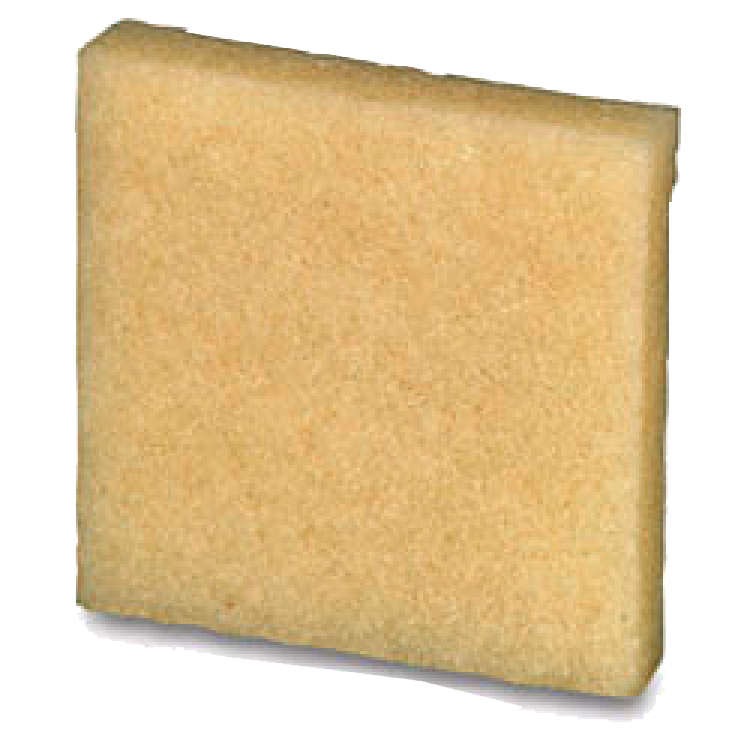 Flat head fine art studio quality hog bristle glue brush. Tempered Steel point awl in collared wooden handle. Steel straight and curved bookbinders’ needles. Retractable steel untility knife with snap-off blade. Comes in reinforced, rip-stop zippered portable case. These polished folders are perfect for delicate work, box making, small bindings and tight corners. Hand tools of excellent craftsmanship for creating beautiful hand bound books, boxes, portfolios and all kinds of hand worked items where intricate detail and careful finishing are essential. “4 long, 105 mm, hand crafted, tapered, rounded base. 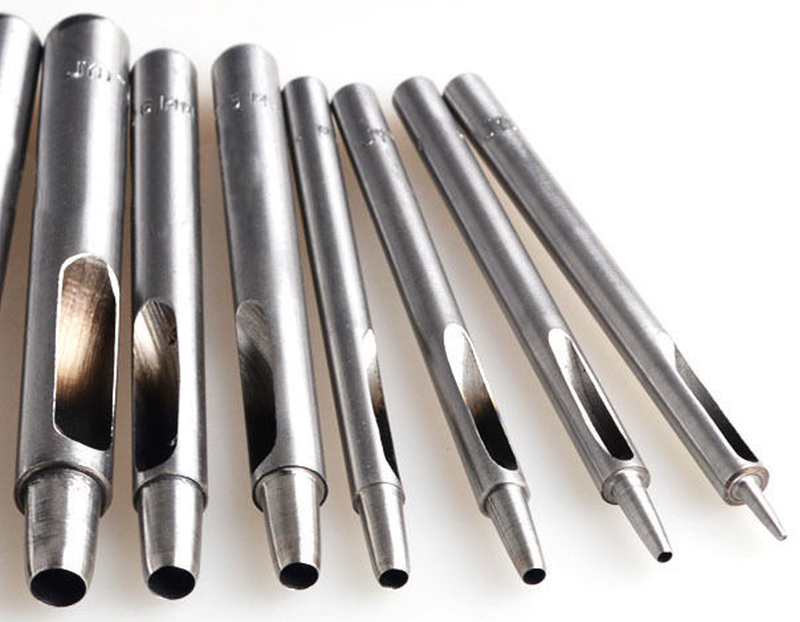 These temperred carbon steel milled punch tools make clean crisp holes for corded and screwpost bindings. 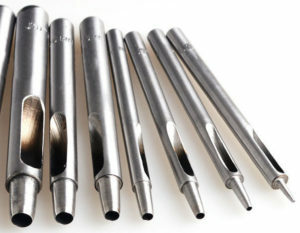 Hollow shaft for punchings to clear without clogging. 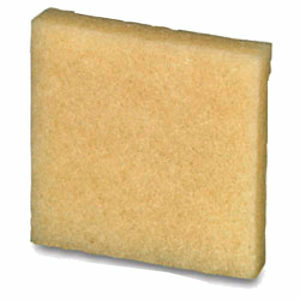 2mm & 3mm for corded bindings, 6mm for screwposts. Other sizes available upon request. All the tools included in the Essential Tool Kit above are also available individually. We’re happy to search out the unusual or unique. Please CONTACT with your special requirements.